As people flock to theaters to see Captain Marvel and rave or criticize the film, there is another woman-centric sci-fi film that has caught the admiration of many others. But that film is not pulling in the box office dollars of the MCU film. That is not an indication of its quality, however. In fact, many who have seen Alita: Battle Angel have come away convinced it is the better film that deserved a better fate. 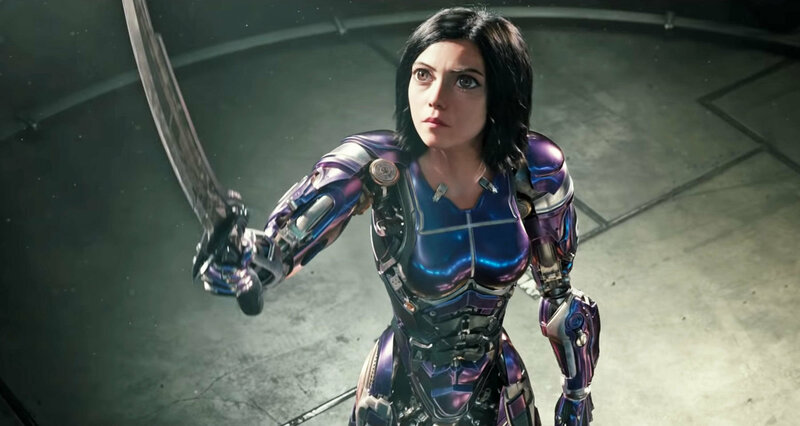 Right now, even though the Robert Rodriguez film has been out for over a month, it is too soon to declare Alita: Battle Angel a box office disappointment. To date it has grossed nearly $400 million dollars. Sure that is peanuts to what other films have pulled in, but it is not that bad. The film’s supposed budget was $170 million, so technically it made its money back and has a tiny profit. So, is that enough to get a sequel? Fans of the cult film (and that is what Alita: Battle Angel is at this point, though it is worthy of that honor) are clamoring for a sequel, especially given how the film sets up future films. The problem is that the amount of money it has earned probably won’t be enough for a sequel to be greenlit. There is also the fact, that as of two days from now, 20th Century Fox, the film studio that released Alita: Battle Angel, will belong to Disney. Who knows if the House of the Mouse will be interested in pursuing a followup film. They have other properties that will generate more money for them. Then again, we have seen cult favorites build enough of a following to convince studios to take another crack at the property. One recent example is Pacific Rim. That film was released in 2013 and was not a hit film, but it quickly developed a fan base, not unlike Alita. As the film did well in home media, it picked up more fans and demands for a sequel increased. Last year, a sequel was finally released, Pacific Rim: Uprising. Although the film was way inferior to the first Pacific Rim, it did demonstrate that we can always hold out hope for followups to non-hit films. This has happened with John Wick, The Boondock Saints, and others. Bear in mind that this is not a guarantee. Films like Serenity and Dredd had devoted fans that tried to push awareness of the films so that sequels could be made, but they never came to be. Plus, while it is important to see the James Cameron-produced film in theaters now, it is equally, if not more important to buy the film when it is available in home media. That would demonstrate the lasting appeal of the cyberpunk action film, which is surprisingly faithful in spirit to the manga that inspired it. That would be a critical challenge for Alita: Battle Angel. The fan base has to be persistent and vocal. Then there is the matter of getting James Cameron, Robert Rodriguez, Rosa Salazar, and others to return to the stunning futuristic world that they created. Another issue is that if a sequel is commissioned will it get the same care and budget of the original? An easier way to convince execs to finance a sequel is if its budget can be controlled. That might mean that Alita’s next adventure might have to take place in the floating city of Zalem, which would look eerily like modern-day society. It might work given the decrepit state of the world below shown in Alita. In that case can it be as faithful to the manga as the original? This is all speculation at this point. Go see the film if it is still playing. 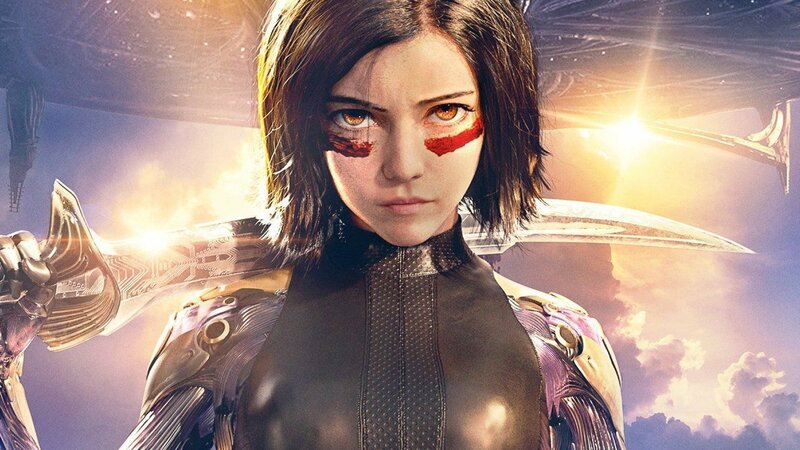 Despite its narrative flaws Alita: Battle Angel is a stunning cinematic experience that better captures a hero’s journey much better than the other superhero film out now in theaters. Okay, now I feel guilty about skipping this when it was shown weeks ago. I guess I’ll just have to settle for the DVD when it comes out. It’s well worth your time whether you see it in theaters or at home. I have to be honest but I’m somewhat disinterested in Alita, the trailers didn’t really grab me but I may give it a try when it comes to home video. It is a shame though for the fanbase of such properties, or filmgoers who were not previously fans but enjoyed it anyway, that hopes for a sequel may be dashed. At the same time maybe studios should focus on a single film without laying out the set-up of a series/universe and then if it succeeds build upon that in a sequel. Given the uphill battle Alita was facing in the BO it would have been wiser to have the film be more self contained. Thinking about its box office it was probably a good move on the studio’s part to have rescheduled it from a December release where it would have been slaughtered by the Aquaman onslaught and received even less attention. I’ll confess I am not a fan of anime and manga but found Alita to be quite entertaining. I should probably give it a watch then as I’m partial to a bit of anime here and there.